The Vatican appears close to a deal with Beijing to settle a long running dispute over who has the power to appoint bishops, Reuters reports. Why it matters: The Vatican, which believes there are roughly 10 million–15 million Catholics in China, appears to be bending to the will of the atheist Chinese Communist Party. This is a concern to Taiwan, because a Beijing-Vatican official diplomatic rapprochement would require the Vatican to drop official diplomatic relations with Taiwan in favor of the PRC. 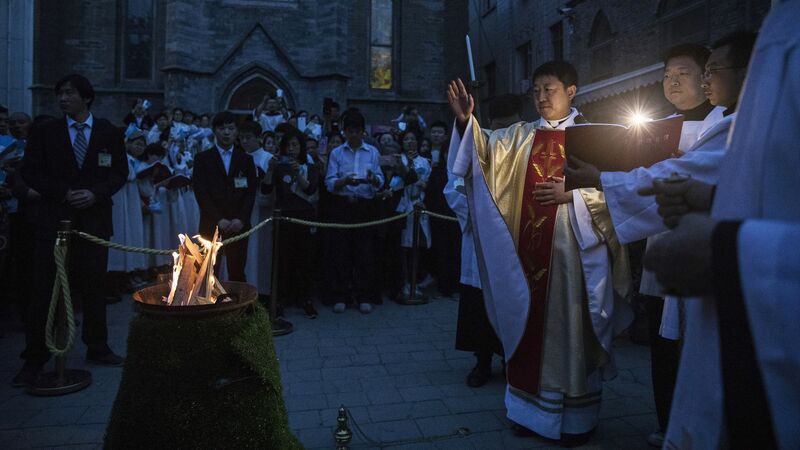 "Catholics in China are split between those in 'underground' communities that [recognize] the pope and those belonging to a state-controlled Catholic Patriotic Association where bishops are appointed by the government in collaboration with local Church communities." "Under the formal deal, the Vatican will have a say in negotiations for the appointment of future bishops."